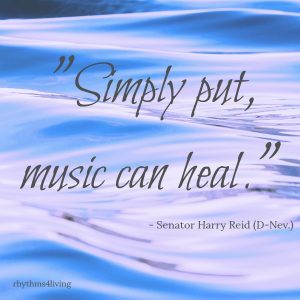 Simply put, music therapy is where we use music to accomplish non-musical goals. Interventions are research and evidence-based and administered by a Board Certified Music Therapist. 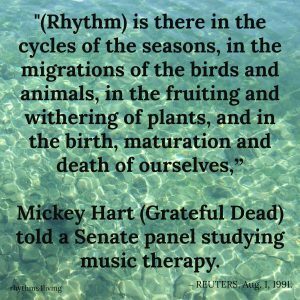 Music Therapy is an established healthcare profession that uses music to address physical, emotional, cognitive, and social needs of individuals of all ages. Music therapy improves the quality of life for persons who are well and meets the needs of children and adults with disabilities or illnesses. 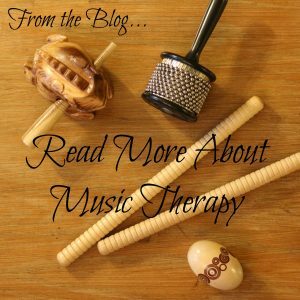 Music therapy is administered by a Board Certified Music Therapist who has completed at least a BA in music therapy from an accredited music therapy program. Music therapy programs are accredited by the American Music Therapy Association (www.musictherapy.org). The board certification credential is accredited by the Certification Board for Music Therapists (www.cbmt.org). Music therapy addresses physical, emotional, cognitive, and social needs of individuals. Music therapy treatment includes creating, singing, moving to, and/or listening to music. Clients’ abilities are strengthened and transferred to other areas of their lives. Music therapy provides alternate avenues for communication. Music offers a safe, nonverbal way to express feelings. Music therapy is a complimentary intervention which enhances the other therapies.